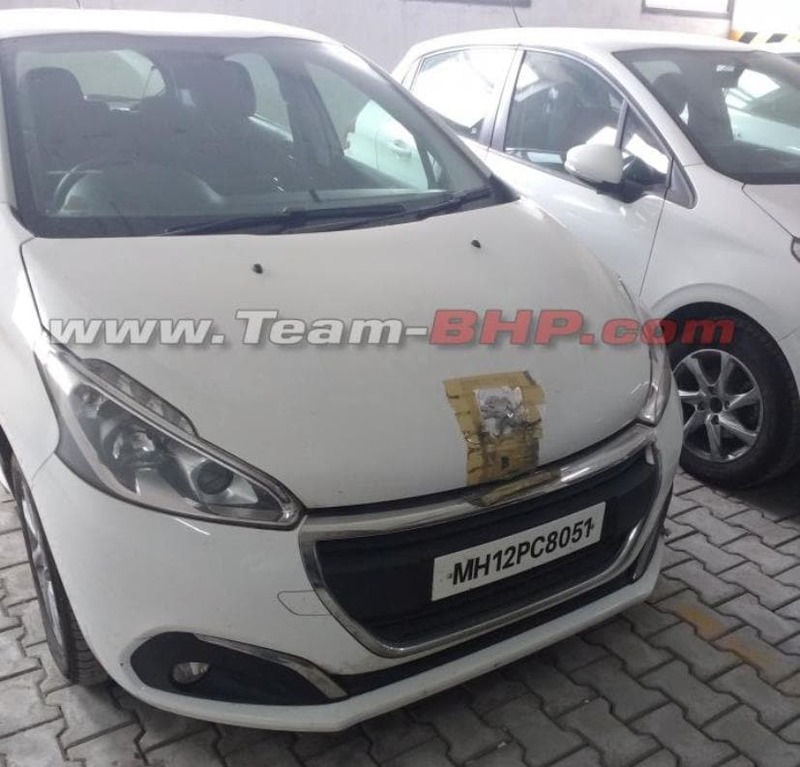 Three units of the Peugeot 208 were spotted in India with proper number plates registered with the Pune RTO. The cars are most likely here for homologation and testing, while Peugeot is expected to start it operations in India by 2020. It was about a year back in January when we first told you that Peugeot brand is coming back to India. Europe's leading automaker PSA, the parent company of Peugeot, has signed a joint venture agreement with CK Birla Group to make and sell vehicles and components in India by 2020. 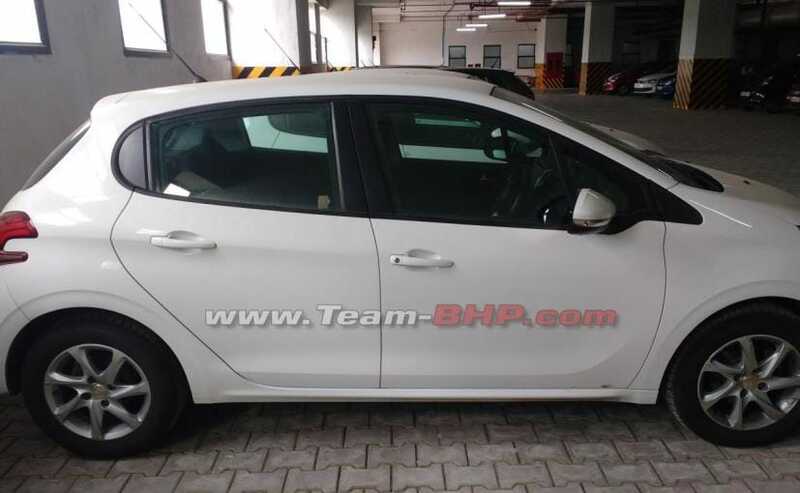 Now, a year later, images of a group of Peugeot 208 hatchbacks have surfaced online, which are most likely here for testing and homologation. One of the popular offerings from the French carmaker in Europe, the 208s spotted recently was seen bearing proper license plates, unlike the previously seen test mule that was seen with temporary ones. We can see a total of three vehicles in these images all sans camouflage and with the company badging on display, albeit with clear tapes over them. 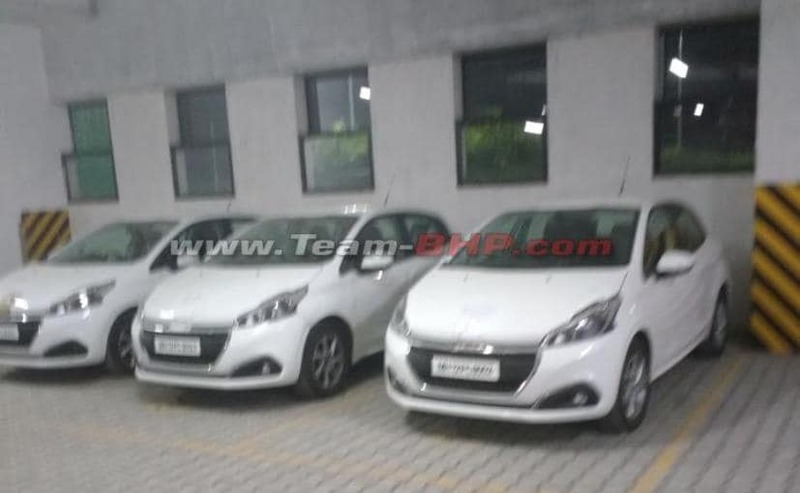 Interestingly, the cars have been registered with the Pune RTO, which would indicate that PSA might set up a base somewhere in close proximity to the city. Having said that, it's very likely that it might not be the case, considering we have already told you that PSA will be investing about ₹ 700 crore into a production facility in Chennai. So, the reason why the cars are registered with the Pune RTO could purely be for convenience, considering the ARAI testing facility in near the city. 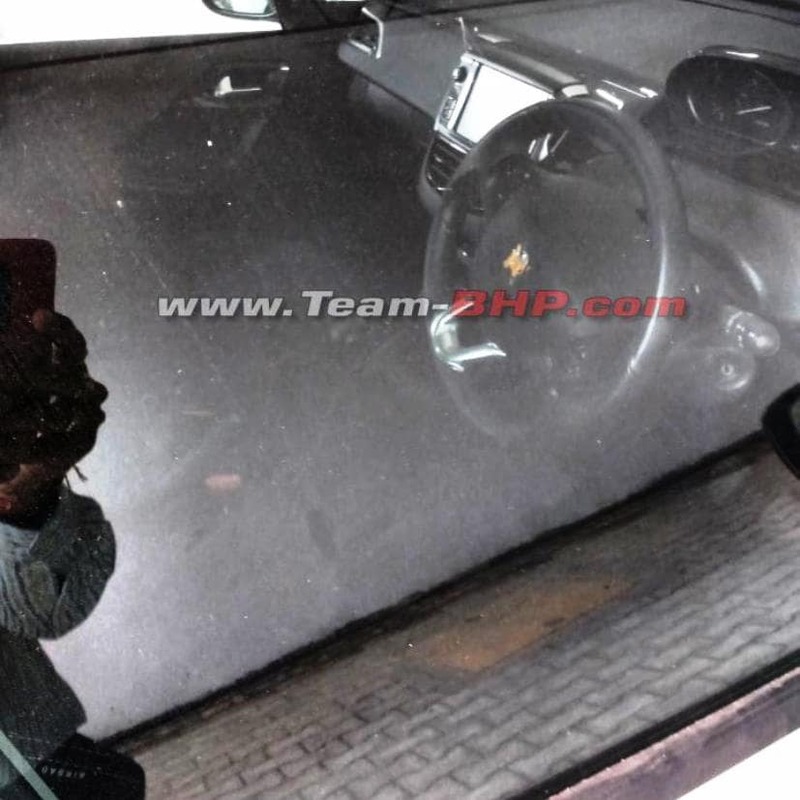 As for the car itself, the Peugeot 208 seen in these images are presumably the top-spec model withal the bells and whistles. These particular 208s come with large sweptback projector headlamps with LED daytime running lamps, larger grille with fat chrome surround, a neat front bumper with round foglamps that come with eyebrow-shaped chrome styling element. From the sides, the car gets a nice flowing design with larger front windows, blackened B-pillar, ORVMs with integrated turn signal lights, alloy wheels and a slightly sloping roofline. Although we cannot see the rear section of the car in these images, the rear of the car comes with a lot of curves at the back and a beefy rear bumper. The uniquely shaped taillamps are quite distinctive and the car also comes with high-mounted brake light and a rear windshield wiper. We also get a glimpse of the cabin of the 208 in one of these images and we can mostly just see a well laid-out dashboard with a larger touchscreen display at the centre with knobs and buttons on each side and the centre aircon vents below it. The side vents get silver accents and we also see a three-spoke steering wheel with some audio controls. The car gets a keyhole for ignition, which means no engine start-stop button, at least in this particular test unit. There is an airbag tab on the driver seat, which means it also gets side airbags. Internationally, the Peugeot 208 is offered with an array of petrol and diesel engines. The petrol versions get the option of both three-cylinders and four-cylinder options. The three-pot engines which come from Peugeot's PureTech family include naturally aspirated 1-litre and 1.2-litre engines, along with a turbocharged 1.2-litre motor, while the four-pot units include a 1.4-litre motor and a 1.6-litre mill. Peugeot also offers a couple of four-cylinder diesel engines that include a 1.4-litre engine and a 1.6-litre oil burner. We believe the India-spec models will likely get the 1.2-litre PureTech petrol engine and the 1.4-litre diesel engine.